Did you know that a whopping 89.7 million dogs lived in households across the USA as pets during 2017? Of all the dog breeds that make up the American canine population, one of the tiniest, the Chihuahua, is also one of the most popular. 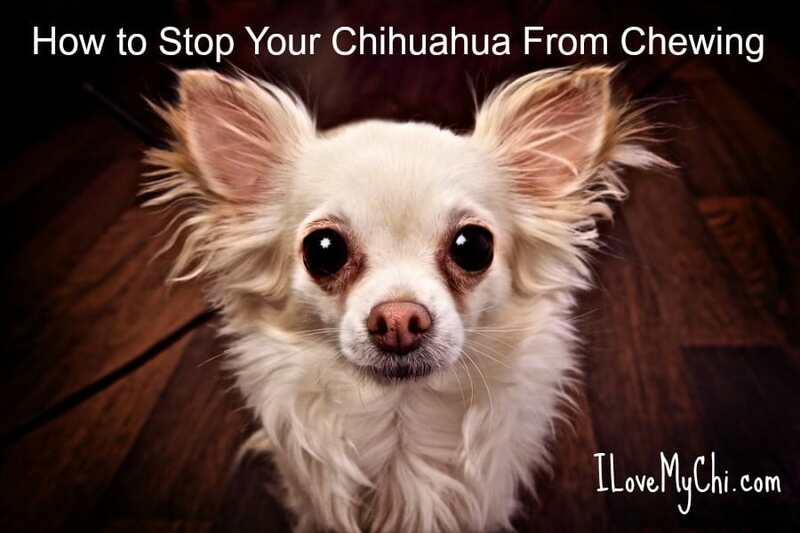 Though it has dropped in recent years, during 2013 the Chihuahua ranked as the 22nd most popular breed of dog in the USA. Many a Chihuahua owner has come home from a long day at the office to find that the beloved family pet has chewed everything in sight. 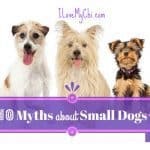 Chihuahuas are naturally more feisty and energetic than other dog breeds and because of this often display what is perceived to be a destructive personality. Regardless of the reason behind the chewing, all dogs can be trained not to engage in destructive behavior, but in order to do so, one has to establish why your precious pooch is wrecking your furniture and other belongings in the first place. Chihuahuas tend to be nervous by nature and chew out of pure anxiety. Even seemingly minor things such as bringing new people into the house or getting a new pet can trigger a severe nervous episode. While chewing is a good way to help your pup relax it is important that he is sufficiently trained to only chew on things that are made for that purpose. When dogs are bored, they tend to wreak havoc. Due to their spirited natures, Chihuahuas get bored very easily and will attempt to pass the time by chewing on your favorite pair of slippers or television remote. A tiny, nervous Chihuahua enjoys nothing more than to be fussed over by his human companions. Separation anxiety is one of the most common causes of destructive chewing and usually manifests itself in the form of whining and erratic behavior every time you attempt to leave the house. Similar to a young child, your dog is throwing a fit because he does not want to be left alone and will demand your attention in any way they see fit which, in this case, is chewing. 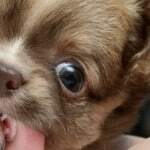 As previously stated, Chihuahuas possess extreme amounts of energy making them a lot more prone to chewing than their more lethargic counterparts. 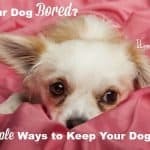 Dogs that are indoor-bound for most of their day are more likely to have excess energy fueling their bad habits than those who enjoy a significant amount of outdoor time every day. Taking your dog for regular walks and spending time outside playing will provide him with a less hostile manner in which to blow off some steam. How will your pooch know he is doing something wrong if you don’t tell him? Let them know that their behavior is unacceptable by saying their name in a firm manner followed by ‘No!’ and show them their handy work. Make sure you supply your canine companion with a range of toys he CAN chew on and reward his good behavior accordingly. There are countless safe toys and treats designed for chewing that will not only keep your dog busy for hours but will promote healthy oral health and combat teething irritation as well. When training any dog it is important to be firm yet calm and to remember that no matter your efforts, chances are your Chihuahua will still occasionally chew on something he is not supposed to. Instead of acting out in anger, rather embrace his idiosyncrasies and be grateful that you have an irreplaceable little companion who loves you dearly. I am the happy mom of my very first Chi named Angel because she was born on Christmas Eve a year ago. She is the darling of my heart and has such quirky ways which make me laugh ! We live in South Africa. She looks like a little angel Shirley!